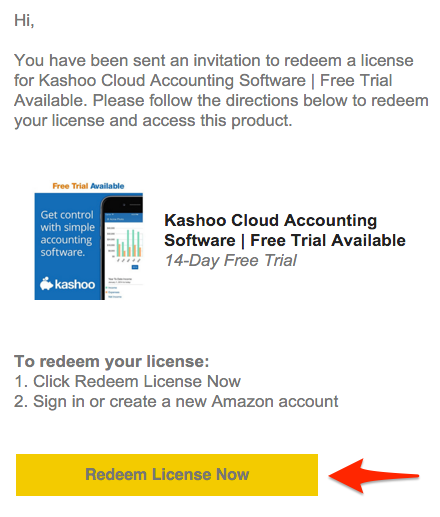 Learn how to purchase, manage, and cancel a Kashoo subscription using Amazon. The subscription comes with full access to the suite of Kashoo web, iOS, and Android apps. Note: This is currently only available to Amazon customers with a US billing address. 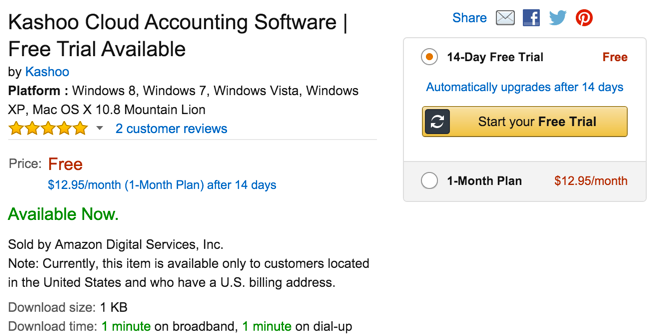 If you visit the Kashoo product page on Amazon, you will be able to either choose a 14-day free trial or a 1-month plan (where you're automatically billed once-a-month). Note: The 14-day free trial will automatically upgrade to the 1-month plan once the trial is over. After you choose your Kashoo subscription type and complete the checkout process, you'll need to assign a license to a user. You can do this by clicking on Assign a license. 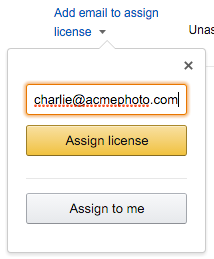 You now must choose what email to assign to the license, which you can do by clicking on Add email to assign license. Either add an email address and click on Assign license or simply click on Assign to meto assign the license to the email address attached to your amazon account. Amazon will then send you an email asking you to redeem your license. Click on Redeem License to do so. You will then be prompted to create a new Kashoo account, which you can do by clicking on Create and link new account. 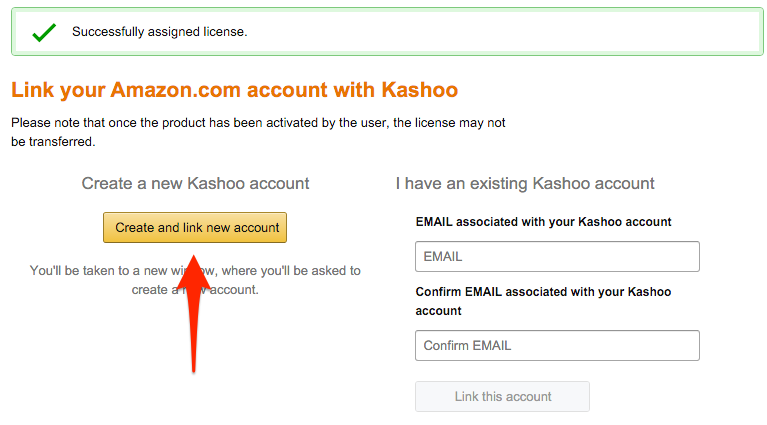 Note: If you have created a Kashoo account through Amazon before, you can use the I have an existing account fields to enter your Kashoo account email address. If your account was created through Kashoo, you will not be able to enter your existing Kashoo account email address and must create a new Kashoo account. Assuming you clicked on Create and link a new account, fill out your new account details and click on Sign Up. Note: If you don't see the window to create a new account, make sure you disable your pop-up blocker and try to click on Create and link new account again. 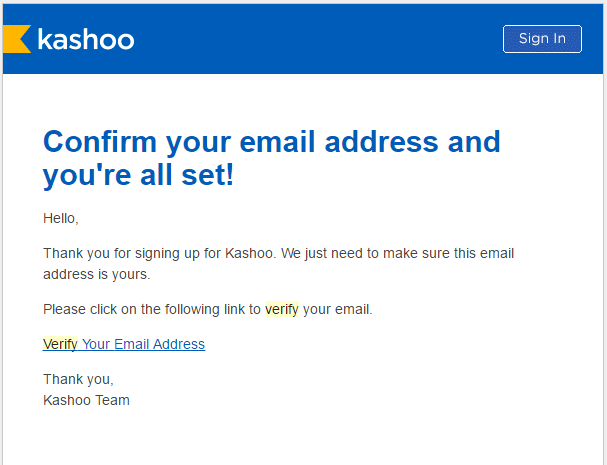 Kashoo will then send you an email to confirm the email address you entered while creating the new account. So, check your email and click on the Verify Email Address link. You'll then be forwarded to Kashoo. 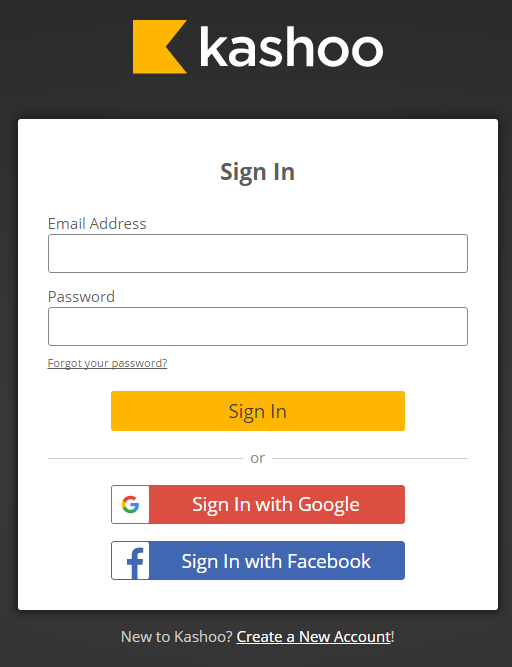 You may or may not have to sign in to Kashoo. 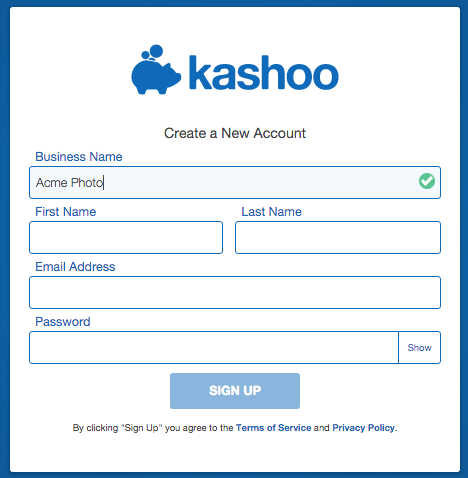 If you need to sign in, use the email address and password you used when you created and linked a new Kashoo account. You're all set. Please view our Setting up Kashoo - The Master Guide article to find out how to get started in Kashoo. 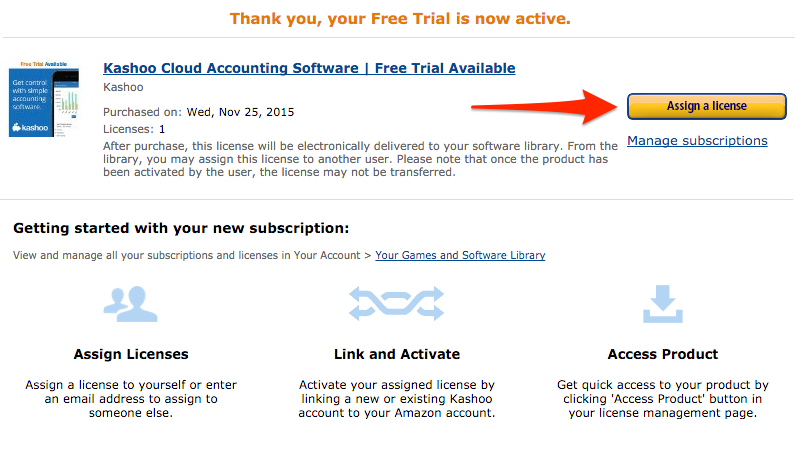 To do any one of those things, in Amazon, go to Your Account > Your Games & Software Library. There you will see your subscription(s) and you will have a few options. 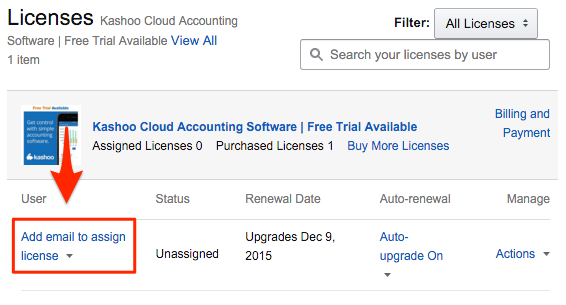 If you have a paid subscription, you can choose to toggle on and off Auto-renewal by clicking on Auto-Reneal On. You can use this option to ensure your subscription is not automatically renewed. To turn off Auto-renewal, click on Disable Auto-renew. To change your billing and payment options or cancel your subscription, click on Billing and Payment. 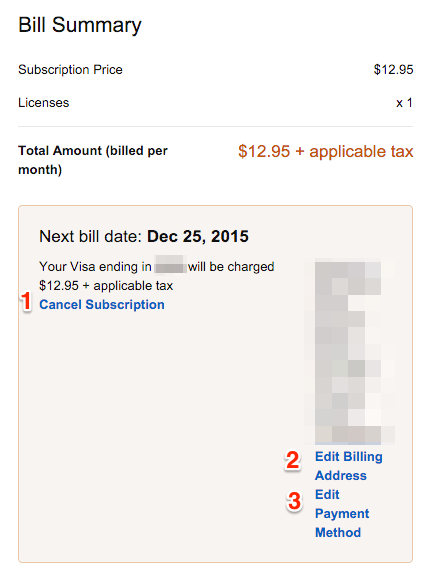 This will let you 1) Cancel Subscription, 2) Edit Billing Address, and 3) Edit Payment Method. If you choose Cancel Subscription you'll receive a refund for the unused portion of your subscription.